​1. Dr. Gardner will identify the site of pain. He will then mark the site of pain with a skin marker. ​2. Coupling gel will be applied to the site of pain. The coupling gel will help conduct the acoustic shock waves to the targeted site of pain. 3. The treatment will start at a low setting for patient comfort, as the probe sends initial shock to area of pain. During the treatment, the power will be increased to the recommended level for the specific injury and condition being treated. 4. As the treatment starts, the patient may feel a deep dull ache or sharp pain. The pain is felt because acoustic waves are breaking deep rooted scar tissue and inflammation at the injury site. 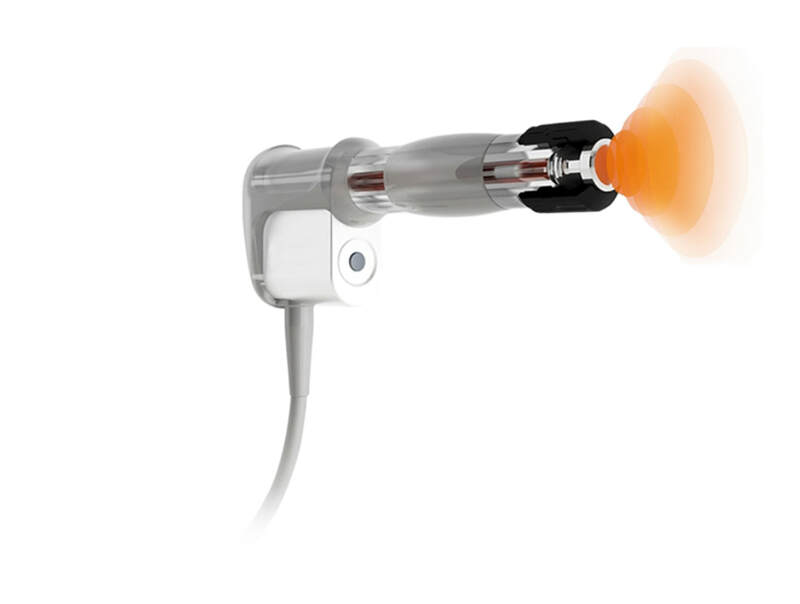 The output of shockwaves will then be adjusted to the level of comfort for the patient. 5. Once treatment is completed, coupling gel will be removed. Then Dr. Gardner will apply therapy tape to area that was treated to help manage the minor aches and discomfort experienced after treatment.